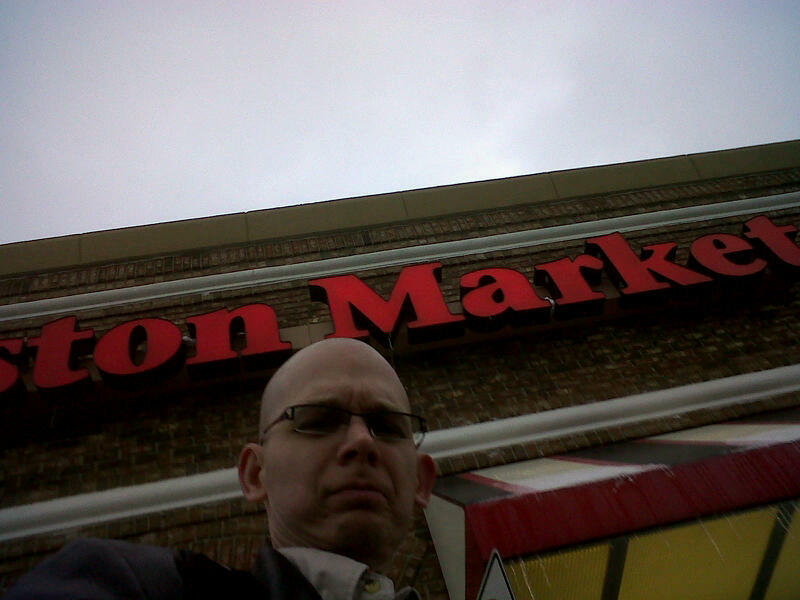 While in Des Moines this week, I was tasked with a holy crusade – to become the “hero vendor!” Well, I’m a title-whore, so I had to take the challenge. Hold on a sec – are you my wife? If you are my wife, you must stop reading now. Compromising pictures are to follow, and you cannot know what I did behind your back in Iowa. Not gone yet? No, I’m serious – leave now! Dammit, why are you so stubborn? Alright, let’s partake of a little background. My mother-in-law once doubted I could finish off the last pound of mashed potatoes at some family function. Silly mother-in-law. She was unprepared for what followed – a gorging she hadn’t witnessed in many years, since she raised 2 girls. At any moment in time, I can consume an unlimited amount of potato-material. It’s just a fact. 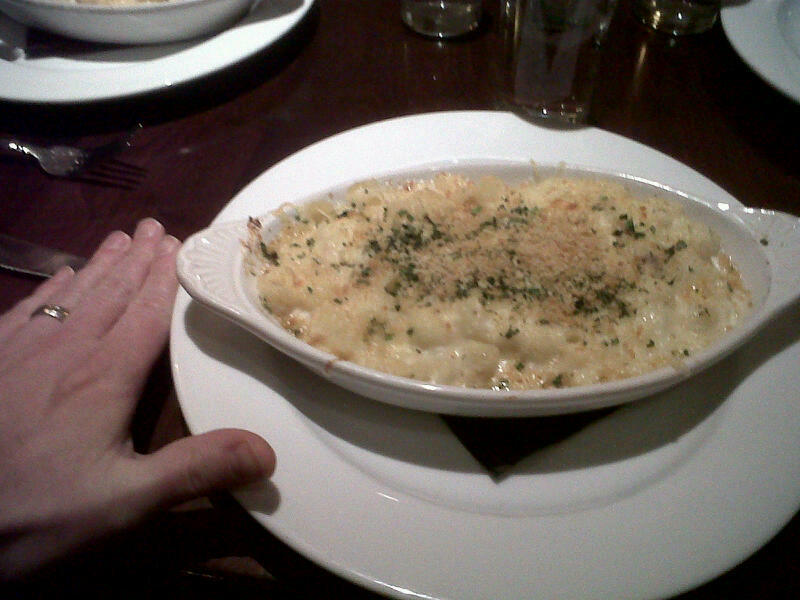 Likewise, I can usually polish-off any quantity of cheesy macaroni. 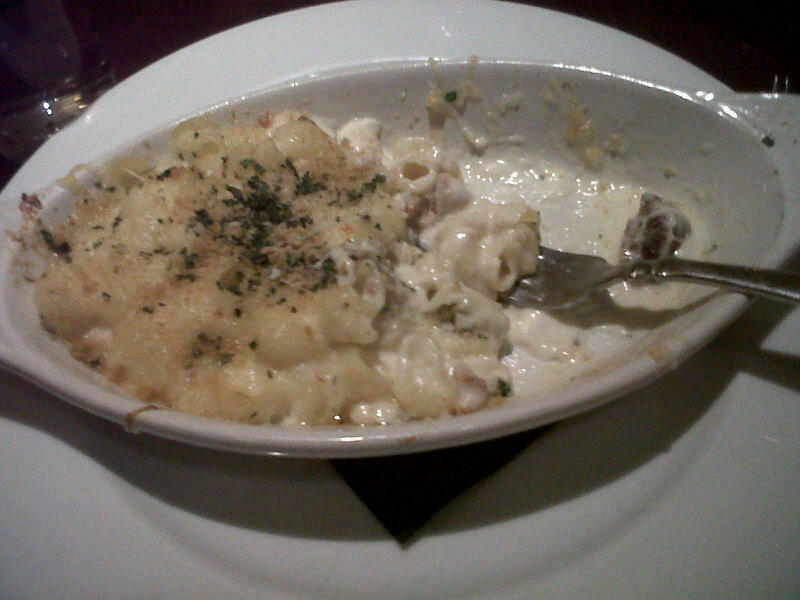 So, when I was challenged this week to finish an entire bowl of macaroni gratin at some floofy french restaurant, I rose to the occasion. Ahhh… heart attack in a bowl. My favorite. Did I mention there were large bits of bacon waiting inside as well? Who knew the french could make such hearty food! I was surprised to learn I would be the first to pass the challenge. Now, I’m small of stature, so this fact surprised me. As the end neared, I knew I was going to taste victory, even if the Marriott bathroom would be soon declared “ground zero” after the attack upon my system. Look what I found in Michigan! An ugly, bald dude? No, look behind the bald dude. BM! Hellz yeah. For those of you who don’t know me, I have an addiction… as sickness, really. 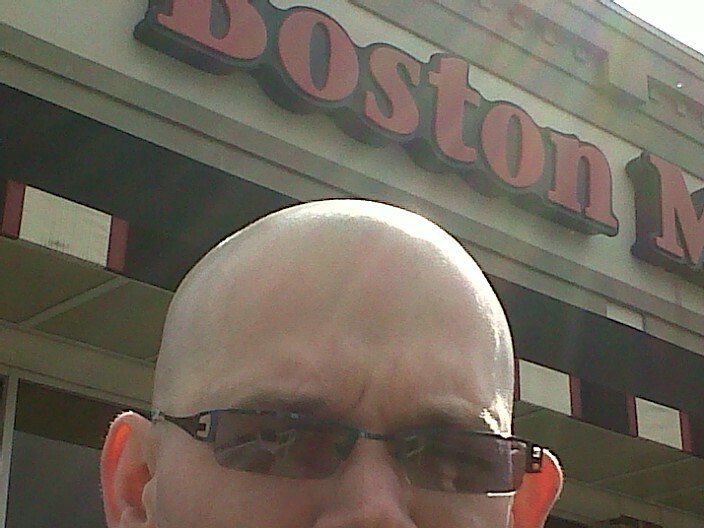 You see, for some reason that cannot be identified (or explained), I love Boston Market! Comfort food just hits the spot, and BM serves it all up for me. Rotisserie chicken? Can’t get enough. Mashed potatoes, green beans, corn, stuffing, broccoli, mac-n-cheese? Drool. 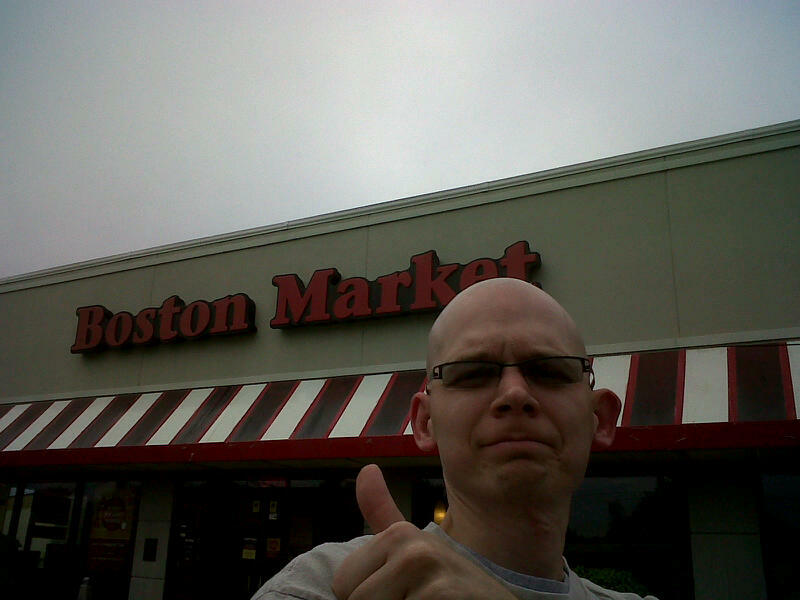 So, yes, shortly after finding my hotel I typically punch “Boston Market” into my Garmin to find the nearest one. Don’t believe me?